Some of Lakeview’s pricey new condo construction projects are housing unwelcome tenants. At least five people have been arrested in the past week after they allegedly took up residences inside separate condominium projects in the 600 block of West Aldine. (L to R) Davis; McGee, and Tucker were charged with trespassing in a condo project at 641 Aldine on August 28. 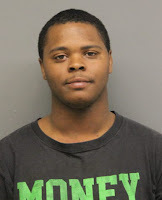 On August 28, 19-year-old Onay Davis and 21-year-old Tevin Tucker of Humboldt Park and 23-year-old Deboyce McGee of South Deering were charged with trespassing after a construction worker found them sleeping inside a nearly-finished new condo at 641 West Aldine. Davis was arrested again this Monday after he allegedly pepper-sprayed a Lakeview man during a robbery attempt near Lake Shore Drive and Grace. Also on Monday, two other people were arrested after police responding to a burglar alarm found them lounging in a different condo project at 651 West Aldine. Around 7 a.m., 19-year-old Chantel Rodney and 22-year-old Devante Smith fled from the building as police entered, prosecutors said. Rodney was arrested after a brief chase, and a citizen helped officers capture Smith in the 600 block of West Roscoe. Rodney lives in Broadview, and Smith lives in the Grand Crossing neighborhood, according to their arrest records. Both are charged with criminal trespassing, reckless conduct, and resisting police. Ironically, the new building that Rodney and Smith allegedly entered was made possible after the previous building that sat on the site burned down in May 2016. A 126-year-old wooden home at 651 W Aldine burns in the spring of 2016. Two clients of local service agencies pleaded guilty to starting the fire which destroyed the unoccupied wooden home that was built in 1890. 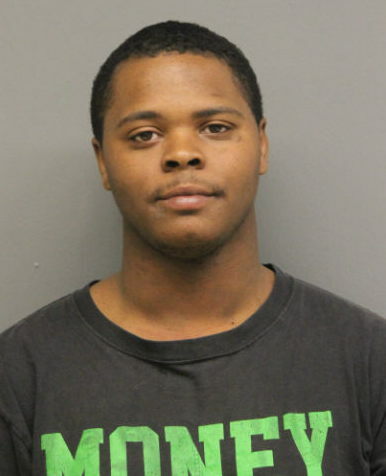 Equally ironic is this: One of the men who pleaded guilty to starting the fire was subsequently charged with robbing a man in Boystown—about two blocks from where Onay Davis supposedly tried to mug a man on Monday.